Part of me feels instead of "Changing the Conversation" I should call this post "Start the Conversation." This wasn't the topic I initially wanted to use to launch this idea. 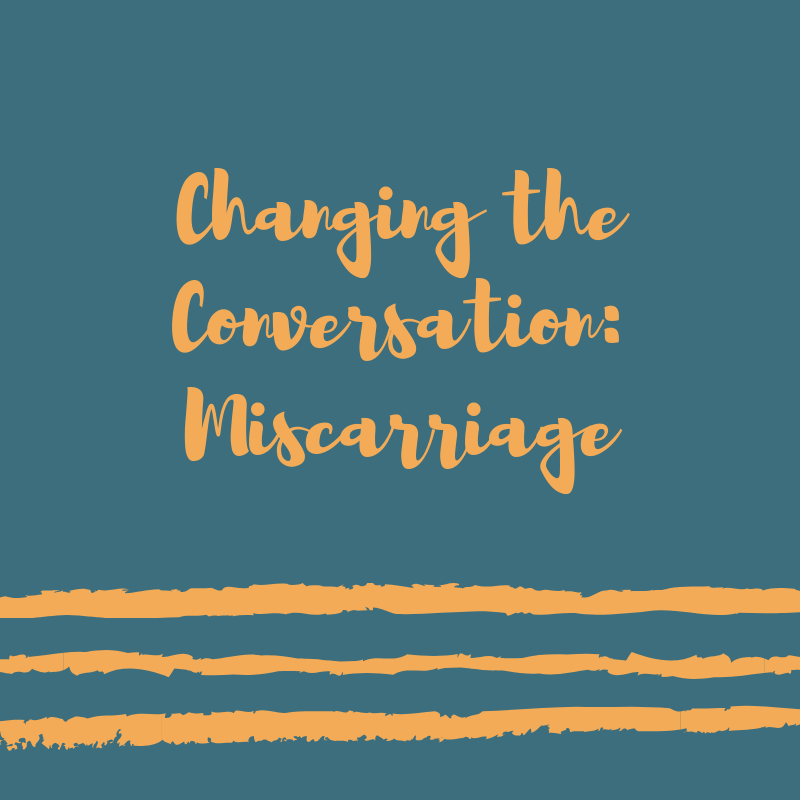 But last week I saw a few posts in my Instagram feed from women who were coping with miscarriage and infertility, and noting that they felt alone, or unsupported, or that the people in their lives who meant well just weren't saying the right thing. And that's when I knew I was ready to share my experience -- for both those who are going through this, and those who are not and are unsure how to approach those in their lives who have. With that in mind, if this subject is too much for you, if the wounds are still too raw and you just can't... then don't. Don't read this. 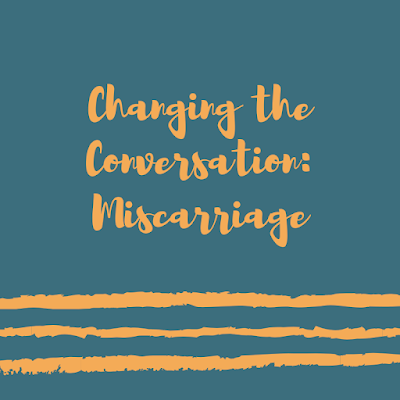 But if years have passed and you think you're ready to revisit this, if you have been though this and don't want to feel alone in it, or if you know someone who had a miscarriage and looking for some understanding, then proceed. On January 1, 2007, I suffered my first miscarriage. It was about 7 pm at night and I was watching some home flip show on TLC or HGTV when I went to the bathroom and saw I was bleeding. I called my doctor and then off to the ER we went. I had an ultrasound and it was then confirmed that there was no heartbeat; I was having a miscarriage. I was 9 weeks along. The ER doctor told me 1 in 4 pregnancies end in a miscarriage as he gave me my RhoGAM shot (my blood type is A-), though he said it may be higher because women miscarry not knowing they're pregnant. They think they are menstruating. And while that may be true, it was of little comfort to me on that New Year's Day, when the dreams and new beginning my husband and I had for our family would literally go down the toilet 2 months later. The pregnancy test was positive the day before my 29th birthday: November 19, 2006. What a birthday! We woke up that Sunday morning and my husband was convinced I was pregnant. CONVINCED. So he ran to CVS and bought a pregnancy test for me to take. We were so happy, and carried that happiness and excitement through my birthday, Thanksgiving, Christmas, and New Year's Eve. It was impossible not prepare and celebrate each of those holidays and not imagine celebrating the next year as new parents. Until we learned that dream would not be a reality. On January 2, 2007, we made an appointment to see my OB/GYN. We met with one of the midwives and discussed what I wanted to do. I opted not to have a D&C (dilation and curettage) and let the miscarriage continue naturally. She explained that because my hormone level was so high, medically I was still considered pregnant. So I would need blood work done bi-weekly to check and make sure my hormone levels were dropping. She explained that I would experience cramps like I was menstruating and the flow would be heavier. She explained that miscarriages are normal, that I would get pregnant again, and that she knew I didn't want to hear any of that. She said she knew we had been envisioning a future with that baby, and now that baby and that future were gone, and we were grieving. She said to wait two months after the miscarriage was complete, and we could try again. The statement she made, though, about grieving the loss, was the best thing she could have said to me. It was the most important thing anyone said to me after my miscarriages. Because everyone else was trying to make me feel better by offering platitudes; she gave me permission to feel sad. She told us it was okay to feel sad. So we allowed ourselves to feel that sadness and grief, despite others trying to help us cover up that pain. That emotional pain was real and tangible, but Pete and I had each other to lean on. We grieved together. But the physical pain ... I walked through that alone. I bled for the next two months as my hormone levels slowly dropped, as if my body couldn't admit this wasn't a viable pregnancy anymore. Sometimes the flow was heavier, sometimes it was lighter. Sometimes I cramped, sometimes I didn't. But then, that last week of February, I delivered the fetus and tissue into a toilet. Because it was not just a heavier flow and those were not just period cramps. My uterus would contract and I delivered. 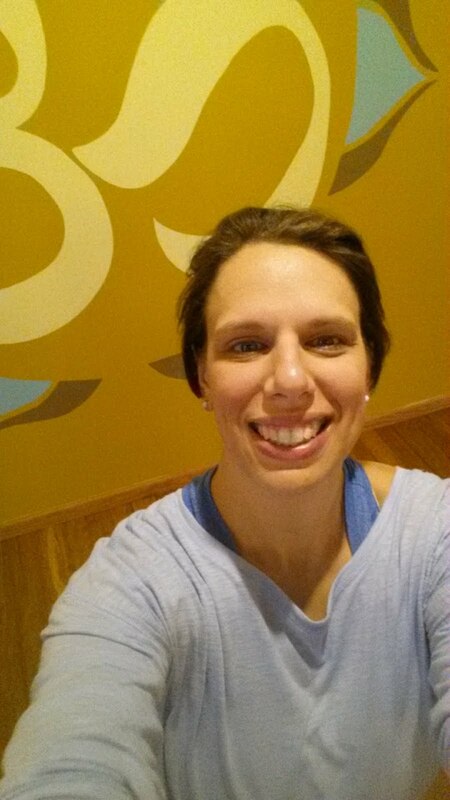 It took a bit for me to realize exactly what was happening but it clicked and I realized, "Oh! So this is what labor feels like." And with a whoosh of a flush, I felt my heart and soul and everything that was supposed to be good about 2007 go down that toilet. For years I kept that to myself -- those thoughts, the physical and emotional pain. It's only 12 years later that I can put it out there for others to read and know. Unfortunately, I wasn't just the loss itself that I carried with me for the next few months, though that alone was tough to bear. During that time friends and family announced their own pregnancies, because life goes on. I shopped for gifts for baby showers, wished others congratulations on their good news, and visited newborns. While we waited for those two months to pass before we could try again, well-meaning people assured me I would get pregnant again. And while the odds were in my favor, the truth is one just doesn't know. I was asked if I planned to breastfeed or bottle feed my children. My immediate response was "I would like to make it out of the 1st trimester before I worry about that." Typing it out here, reading those words again, the question seems so silly and so insensitive, even though I know that was not the intention behind it. But, eventually, I did become pregnant again, holding in my hands another positive test on July 5, 2007. But it wasn't long after that that I started spotting. Another RhoGAM shot and blood work later confirmed I was miscarrying. Again. That baby passed July 25, 2007 -- 6 days before the first baby was due. I did not get very far in that pregnancy, but the loss didn't hurt any less. If anything it stung even more to lose this one so close to my first due date. On August 17, 2007, I held in my hands positive pregnancy test #3. On Mother's Day, May 11, 2008, I went into labor. And on Monday, May 12, 2008, my son was born. On Mother's Day, May 12, 2019, he will be 11 years old. "Screw them. Don't let them tell you how or what you should feel. You were imaging your life as a mom of three, and now you're not. You suffered a loss. You were picturing Thanksgivings, and Christmases, and birthdays, and now that's gone. You're grieving, and you're allowed to grieve. You should grieve. And anyone who tries to tell you otherwise, tell them to shut up. What do they know? I know. And it's okay to be sad, so be sad if that's how you're feeling. That was your child, no matter how far along you were, and now it's gone. You can't ignore your grief, and don't let anyone else tell you how to deal with it. And again, the story doesn't end there. Once my son became a toddler, I started fielding questions about if and when I would have another. I have no idea why anyone would think that is any of their business, but they did. In truth, we did want another one. But we had been through the emotional ringer twice and finally came out the other side with a happy and healthy baby boy that we loved so much. More than anything. We were so grateful, and honestly, didn't think we were strong enough to risk it and go through all of that heartbreak for a third time. We were just happy in the moment with the child who blessed us with his presence. So I would give non-committal responses like "one day" and smile curtly when someone would remark that I wouldn't want my children to be too far apart in age, and I got by. And then one day I thought to myself "just be honest." So instead of "one day" I said "Well, you know I had two miscarriages before I had my son. We're just grateful we have him and don't think we could go through that type of heartache again." Because when people are "making conversation" and asking questions about your reproductive life like one asks about the weather, they don't want honesty and they certainly don't want to hear about sadness, grief, and pain. What they want to hear is "Yes! And as a matter of fact, I'm 8 weeks pregnant!" Trouble is, just because they get to ask the question doesn't mean they get to determine the answer as well. And if you can't sit or stand there and hold space for an honest answer, you have no business asking the question. I see women on social media struggling with their fertility, gathering all of their strength to speak openly about it on a public forum. I felt it was time for me to throw my own hat into the ring and share my story. Because babies aren't delivered by storks. They are about timing, age (sadly), and health. They are a lot of hard work, both physically and emotionally, from the moment one holds that positive pregnancy test. And it's about time that we told our stories honestly -- the happy and the sad. They say there is strength in numbers, and I hope somewhere out there a woman will read this and find her strength and her voice from my story.